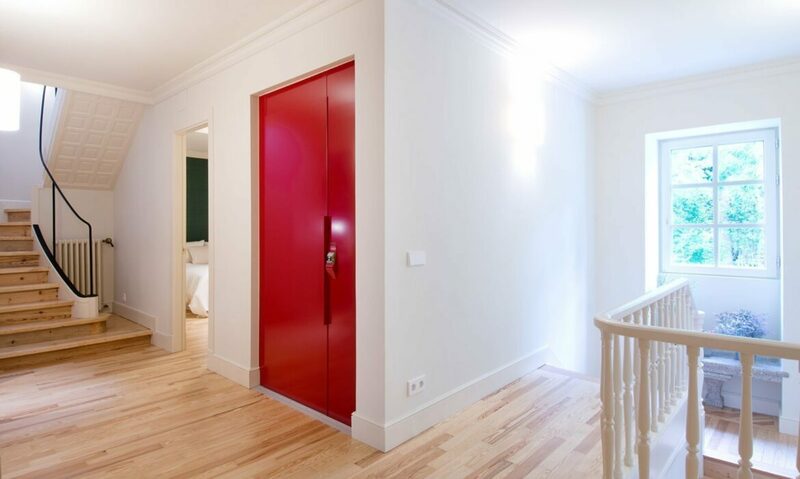 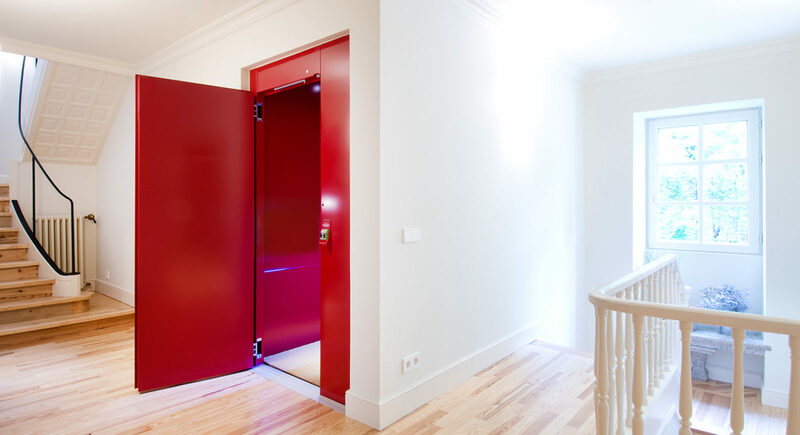 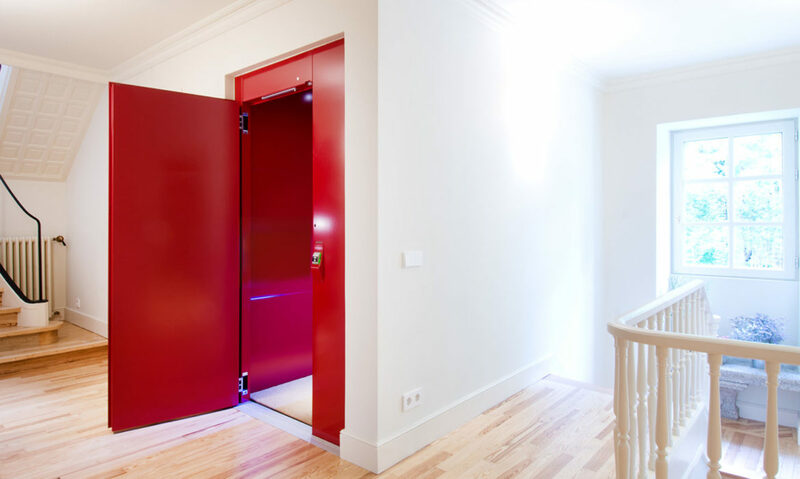 The vibrant red colour of this residential lift creates a bold and beautiful contrast to the white walls and pale wooden floors. 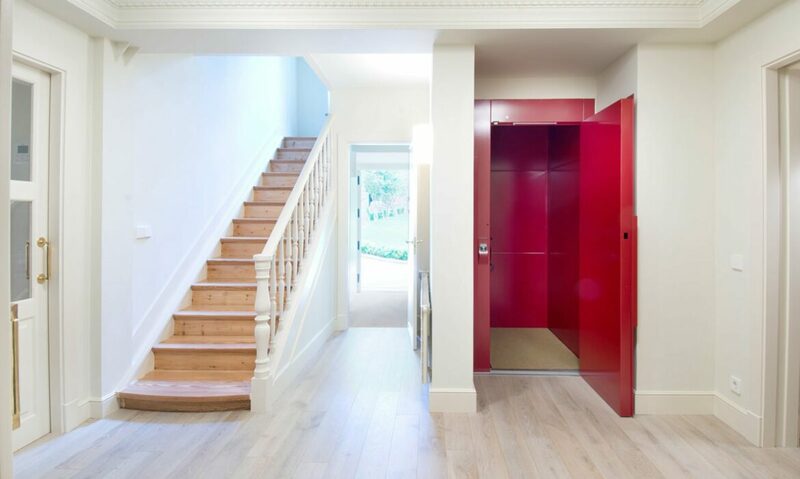 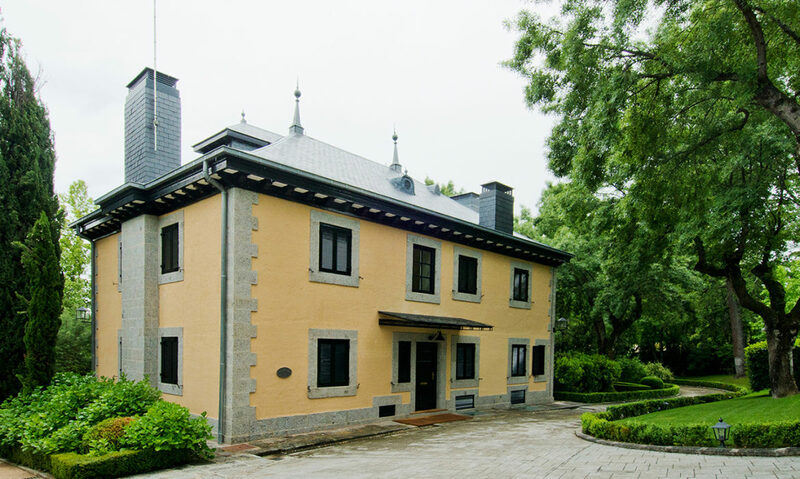 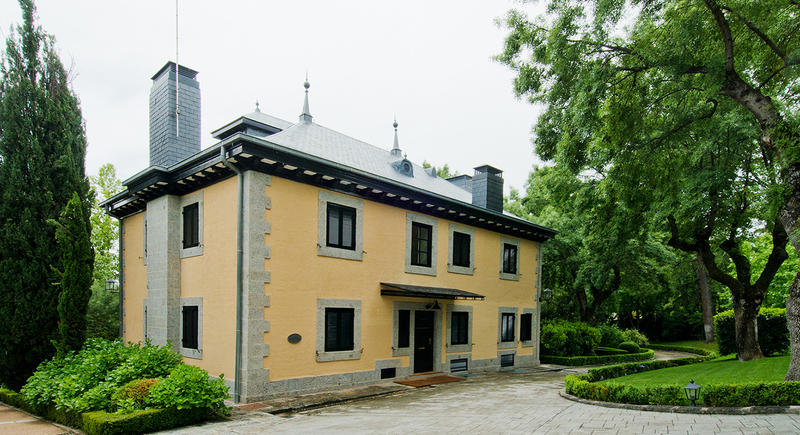 This luxury summer residence was designed with great attention to detail, combining both comfort and style. 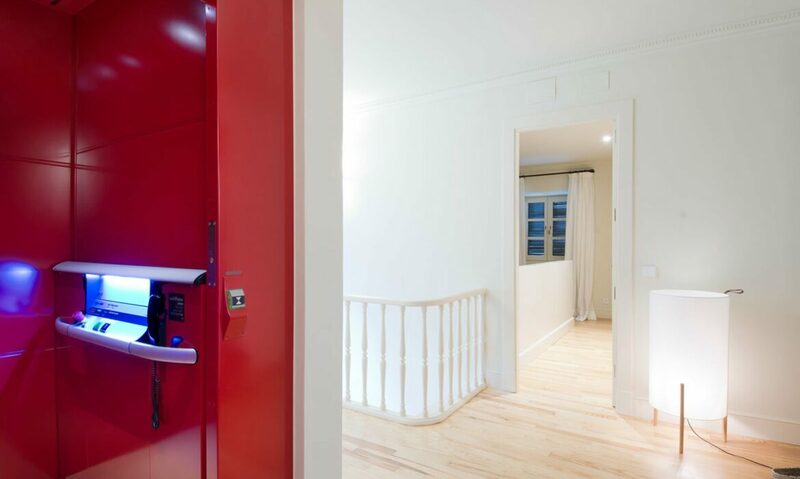 The lift is placed right next to the stairs, offering you comfortable access to all floors, whenever you need it.